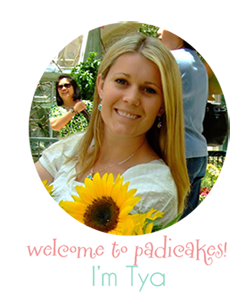 I was happy to have my rainbow jello cookies featured on an awesome party website today! A to Zebra Celebrations. She has super cute party ideas! Go check out her site! 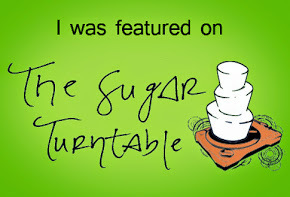 and if you'd like the recipe to these fun cookies... click the pic! 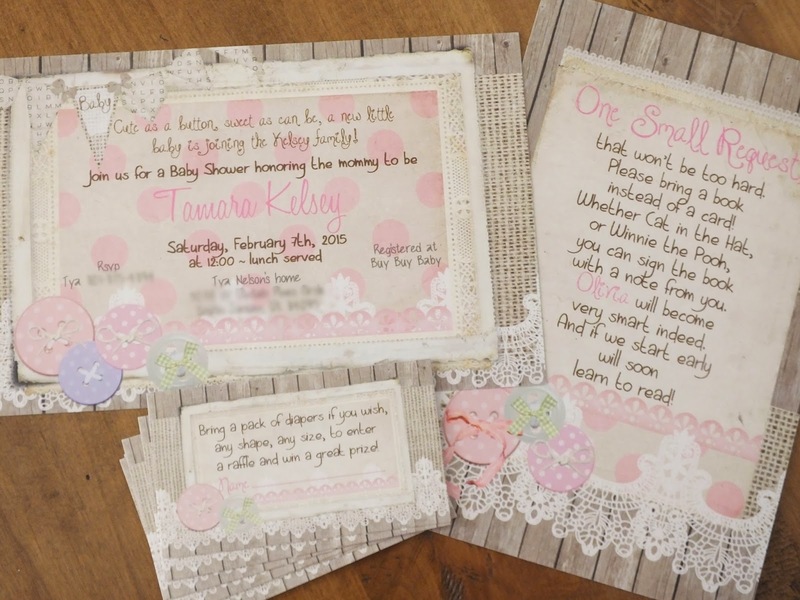 I was thrilled to plan and host this Burlap, Buttons and Lace baby shower which was inspired by the simple but classy invitations that the mother to be fell in love with. I absolutely loved the colors and the options currently available with the burlap theme being so popular. I wanted to have the shower be an open house style shower, but wanted it to be more interactive than the typical snacks, gift and leave agenda they can follow. To keep the guests feeling casual, but wanting to stay and visit for the afternoon I planned a number of different activity areas that flowed throughout the house, eventually landing the guests in the kitchen so that they were always brought back to the food table. Let's face it, that seems to be where everyone ends up mingling anyway! The different activities included headband and hairclip making, burp rag decorating, advice and suggestion writing, a diaper raffle and a blindfolded diaper changing contest which ended up being one of the more popular activities. Since we wanted everyone to feel like they could come and go throughout the shower, I planned the food to be finger friendly with things like mini pancakes, bacon skewers, min quiches, an assortment of sweet breads and rolls, cake pops, salted caramel macaron's and cookies all in the light shades of the invitations. the best brunch juice ever!!! We decorated the house in a variety of textured fabrics including burlaps, lace ribbons, shredded fabrics and tulle around the balloons and kept the rest of the table linens white to keep the focus on the simple colors and décor. One of my favorite decorations were the baby layettes on satin hangers held up on "invisible" wire stands, they looked so delicate and tiny throughout the house. 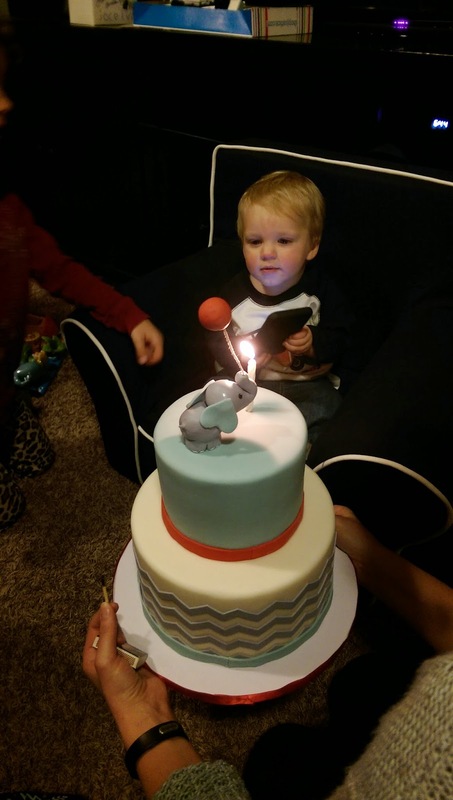 It was truly a sweet little touch for a sweet little baby to come! Upon leaving, all the guests were given a little mason jar wrapped in burlap, filled with orange flavored sugar scrub soaps as a favor. All went beautifully, it was a perfect way to host a non- typically cheesy shower with a few simple ideas and decorations! 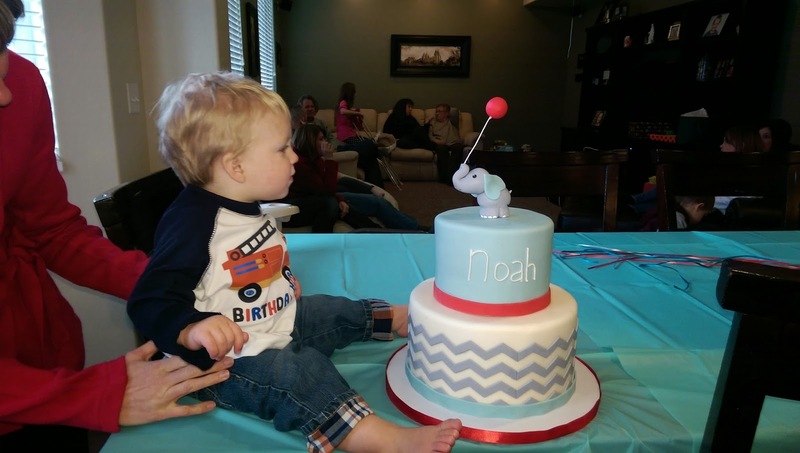 Such a cute theme for a special little boys first birthday! Sweet yet all boy! 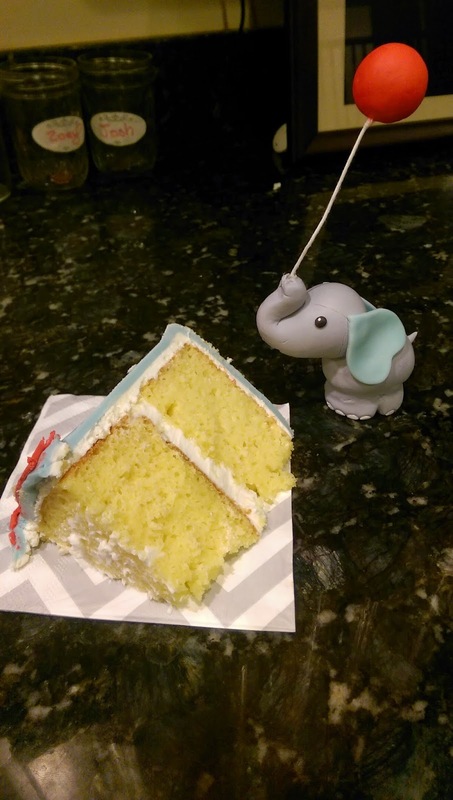 I loved the color ideas for this party and loved making this little elephant- I almost didn't want to let him go on the cake, he was so cute in my kitchen! All the kids loved walking by and trying to touch his little balloon! 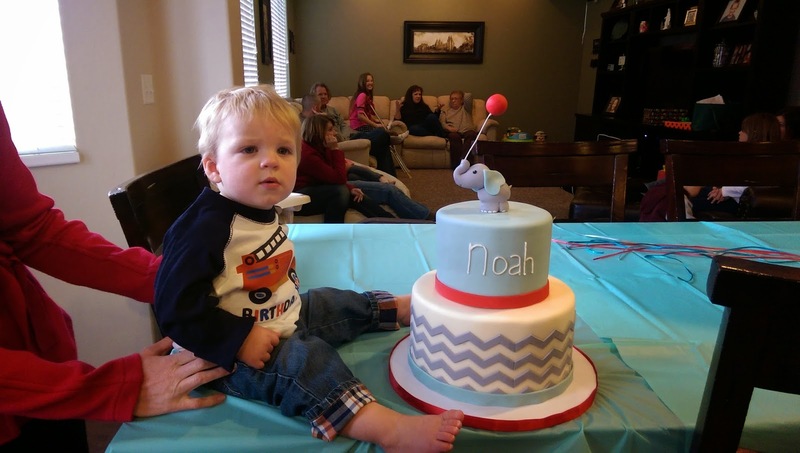 Happy Birthday to little Noah!